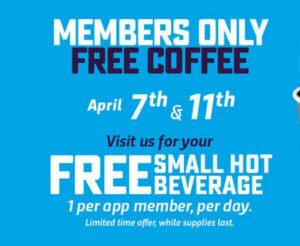 On April 7 & 11 enjoy a free small coffee or hot beverage at 7-Eleven. Just make sure you scan your 7REWARDS app to get your free coffee. One free hot beverage per customer per day.